We make no bold claims here at DSTRYRsg about our journalistic skills and qualities. But, we like to think we bring something unique to the table as the voice of the seriously devoted, day-to-day, grapplers out there. recommendation of the IOC's Olympic Programme Commission. Sounds easy enough, but BJJ/submission grappling isn't even recognized at this time. 2016 is not a possibility - events are no longer being considered (the only 2 newly added sports are rugby and golf). Further, from the sound of things, it's a long, long road ahead for acceptance to the games in the future. The articles* I've read lay the facts out pretty clearly, but nothing gets to the heart of the issue for me. Maybe that's because the writers on the subject don't see the sport and love the sport the way I do. I've been thinking about the issue and for me it revolves around two key questions: As a grappler does any of this mean anything to me? And, further, does it mean anything for the sport? Both answers are a resounding YES. Jiu Jitsu/Submission Grappling Needs Acceptance to the Olympic Games. Grapplers Need the to See the Sport's Elite Athletes Compete on the World's Biggest Stage. There is no doubt that the Olympics is seen as the pinacle event for most sports. The athletes that dominate Mundial and Abu Dhabi (ADCC) (for Mundial, in the brown and black belt divisions) are already competing at the world class level. An Olympic event would validate and distinguish our elite athletes. As a member of the grappling public at large, I look forward to the day this occurs. Jiu Jitsu/Submission Grappling, as a Sport, Will Benefit Drastically from Acceptance in the Olympics. This is a gross understatement. Inclusion in the Olympics would change the sport forever. Our sport is young and growing rapidly. Just as MMA serves to draw in greater numbers and higher caliber athletes to BJJ, the Olympics would do the same (and probably more). It's just plain good for the sport. Grapplers, I'm not exactly sure how we do it, but we need to get there. Maybe it's spreading the word by choking your co-worker unconscious or omplata-ing your mom at the breakfast table. Or, maybe it's wearing your gi to work on Wednesdays. These are just ideas off the top of my head. Seriously though, if synchronized swmming got there, we can get there too. Brazil Should Include Jiu-Jitsu and MMA in 2016 Olympic Celebration. A Brazilian Olympics without Jiu-Jitsu. Like I wrote in my article last week, I just don't see it happening. For 2016, it can't happen, as golf and rugby have already been confirmed as the new additions for that particular Olympics. I'm not entirely certain it would be a good thing, either. Like many others, I'd be concerned about potential changes in the rules in the interest of making it more 'spectator friendly', which is what happened to judo. Still, I agree that it would be nice to see wider coverage and possibly financial support of BJJ, goals which could be aided by Olympic status. Getting behind FILA, and what they're referring to simply as 'grappling', is probably the best means to that aim. Slidyfoot - thanks for stopping by. Very good points. I was approaching this from more of an emotional point-of-view, but I realize the logistics are significant. Hopefully, our sport will gain greater visbility and legitimacy (in the world's view) as time goes by. And, eventually we will get there! 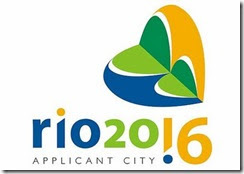 It seems to me that the Rio Olympics if played well will be a great opportunity to showcase and promote BJJ. Perhaps a co-hosted BJJ event in tandem with the olympics? The fact that Hopscotch is an Olympic event and grappling isn't is absurd!! !